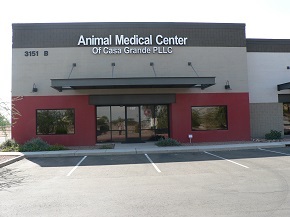 Welcome to Animal Medical Center! We are a full service companion animal veterinary facility dedicated to providing friendly, helpful and compassionate services to you and your pet. Our doctors and staff take pride in running a facility where you and your pet will feel comfortable. 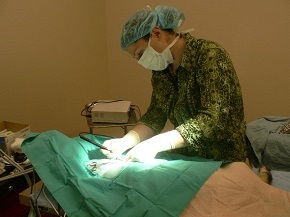 You can enjoy a clean, peaceful veterinary experience from the minute you walk through our doors. We are committed to maintaining well patients, helping those that need help, and offering advice on nutrition, allergies, behavior, and other medical, dental and surgical conditions. We are excited to offer up-to-date medical care, help you understand medical recommendations for your pet, and keep you informed while your pet is receiving treatment. 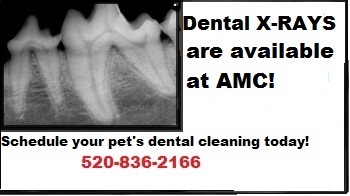 We know you love your pets very much and want to do what is best for them! We are pleased to offer each owner their own Pet Portal! With this feature, you can access your pets' vaccination and health records from anywhere! Make sure we have your email address and you and your pets will be automatically enrolled. We are so excited you have chosen to become a part of our family. Please take a moment to contact us today!